On February 15 and 16, Bellator returns to Mohegan Sun Arena in Uncasville, Conn. for two back-to-back nights of exciting MMA action. 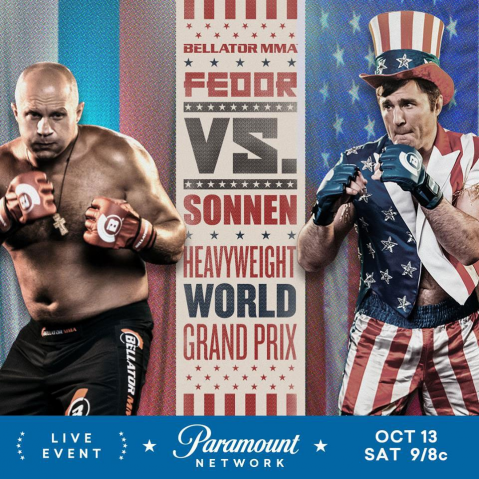 On Friday, the event will be anchored by a heavyweight battle between Matt Mitrione (13-6) and Sergei Kharitonov (29-7, 1 NC), while Saturday’s show will see the long-awaited matchup between Michael “Venom” Page (13-0) and Paul Daley (40-16-2) headline in a Bellator Welterweight World Grand Prix opening round pairing. In addition, the card will also see a heavyweight No. 1 contender’s bout between Cheick Kongo (29-10-2) and undefeated former Bellator heavyweight champion Vitaly Minakov (21-0). 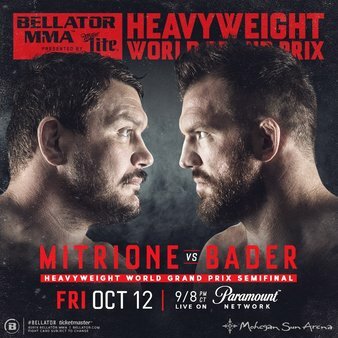 Fresh off an impressive semi-final run in Bellator’s Heavyweight World Grand Prix, Matt Mitrione returns to action on February 15 against a true veteran in Sergei Kharitonov. The former Purdue football defensive lineman splits his training between Indianapolis and Combat Club in South Florida, and is in the best shape of his fighting career. Recently, Mitrione has defeated Roy Nelson and Fedor Emelianenko, adding to an already-impressive list of career victories. The man dubbed “The Paratrooper,” Kharitonov is the owner of an equally notable MMA resume, with the 38-year-old scoring wins against some of the sport’s most marquee names, including an incredible performance against Roy Nelson, as well as Fabricio Werdum, Andrei Arlovski, Pedro Rizzo, Murilo “Ninja” Rua and Alistair Overeem. 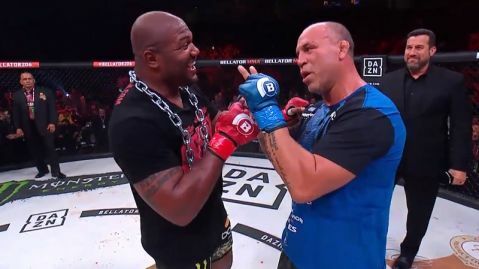 One of the most unorthodox strikers to ever compete for Bellator, “MVP” has steadily worked his way up the welterweight ranks since signing with the organization in 2013. Known for his antics both inside the cage and out, every Michael Page fight is must-see entertainment. With an undefeated record of 13-0, and 11 of those victories coming by stoppage, the 31-year-old out of London Shootfighters finally meets up with fellow Brit and longtime rival, Paul Daley. 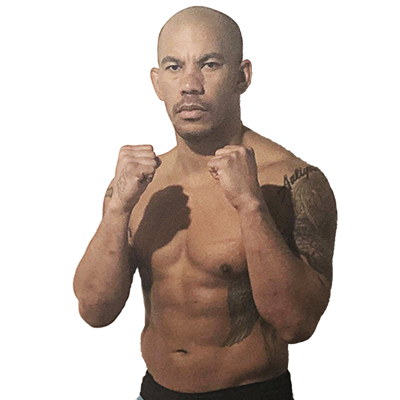 A veteran of Strikeforce, UFC and BAMMA, Nottingham’s Daley has competed professionally since 2003. Throughout his career, “Semtex” has been one half of some of the most memorable bouts in MMA history, including a knockout of the year over Brennan Ward in 2017. 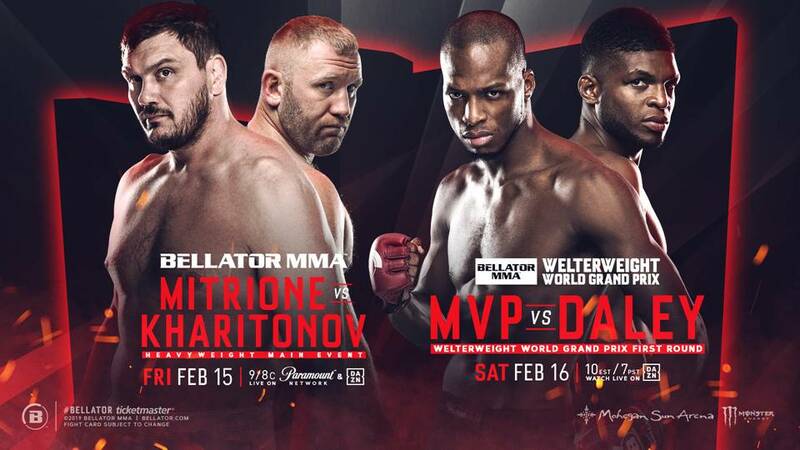 A rematch of Bellator 115, Cheick Kongo will look for redemption against Bellator’s longest reigning heavyweight champion, when Vitaly Minakov returns for his first fight with the promotion since 2014. A winner of seven straight, including two consecutive first-round knockouts over Timothy Johnson and Javy Ayala, Kongo has earned the opportunity to compete in a No. 1 contender’s bout. Undefeated as a professional, Minakov earned a victory against Alexander Volkov, as well as a previous win against Kongo, in his previous Bellator stint, and later continued his winning ways in Russia against “Bigfoot” Silva and Tony Johnson. 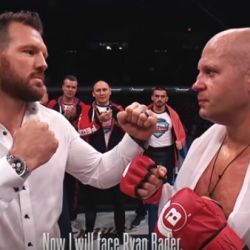 The two now meet to determine who will go on to face the winner of Fedor Emelianenko and Ryan Bader.